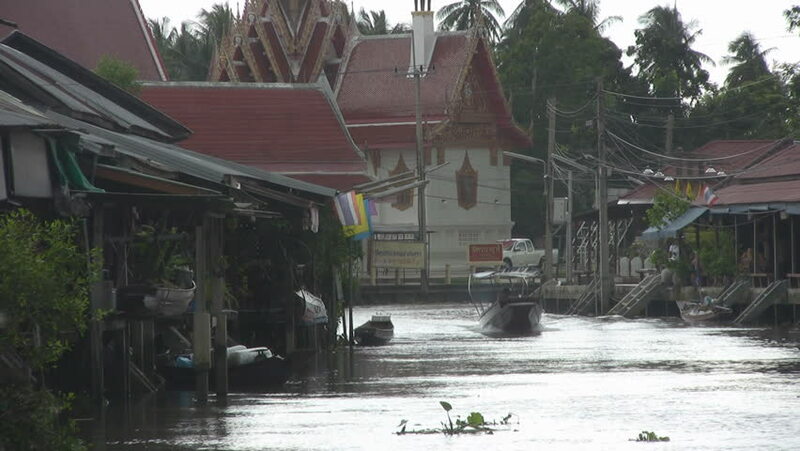 Amphawa, Thailand - Circa 2012 - A boat approaches on the river at Amphawa, Thailand. There is a temple in the background and the water is silver.It then starts to rain. sd00:541970s: Wooden slats and boards are made in a lumber factory in 1970. 4k00:44PADANG, INDONESIA - OCTOBER 15, 2016 : Small sugar cane mill producing using buffalo to unrefined whole cane sugar at bukit tinggi , padang , indonesia.